Yellow Kevlar Nano Cord - 300’ | BUDK.com - Knives & Swords At The Lowest Prices! 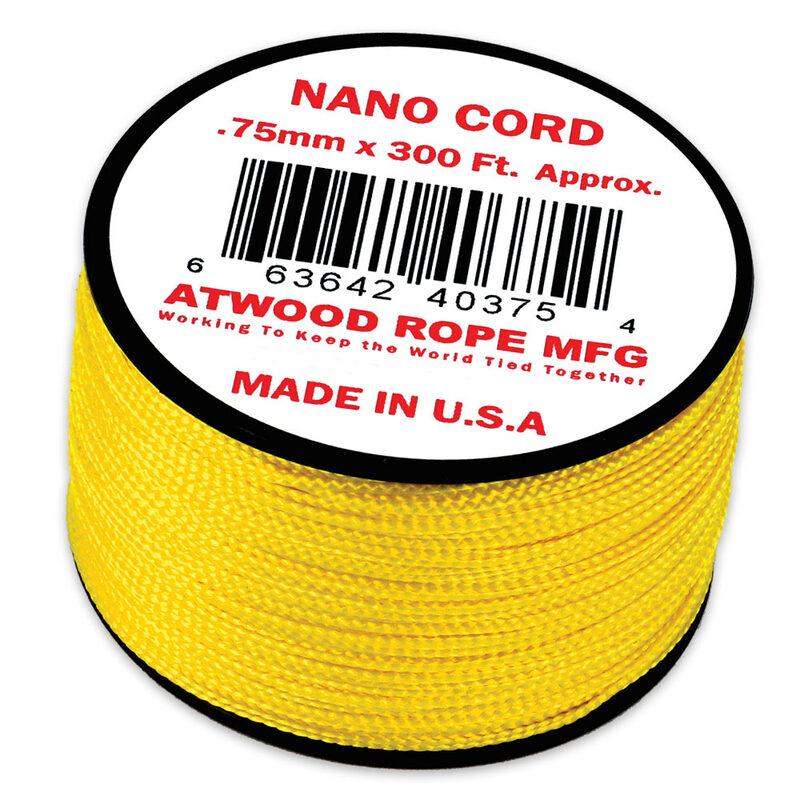 Smaller even than micro cord, our Yellow Kevlar Nano Cord is lightweight and strong with a 36 lbs test rating. It is very versatile, perfect for intricate jewelry makers, crafters and macramé artists. It’s also a great asset for your bug-out gear, backpack and emergency kit because it can be used for lanyards, fishing line or handle wraps. Made in the USA, it is rot and mildew resistant and UV resistant with a color that won’t run or bleed. You get 300’ of it on the spool.